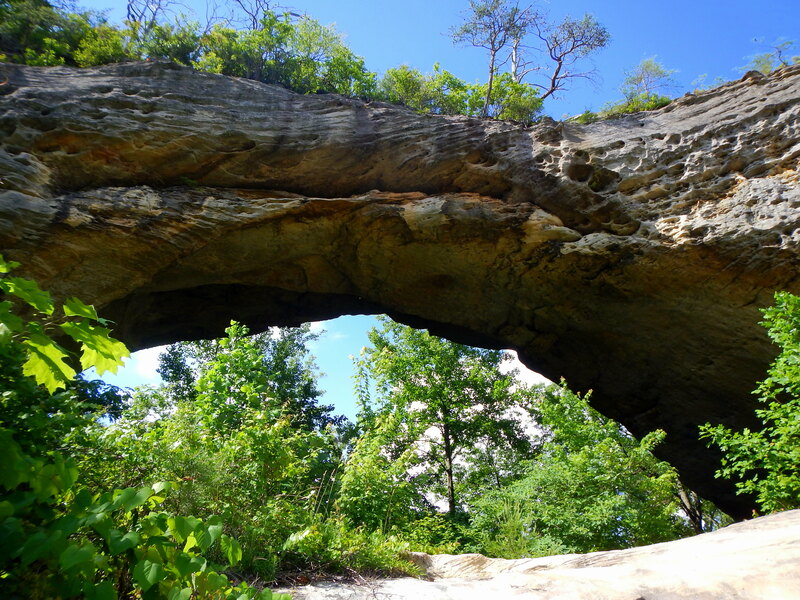 There are hundreds of naturally occurring arches in the Pennsylvanian sandstone of eastern part of Kentucky formed when layers of sand deposited from the ancient inland sea were compacted. 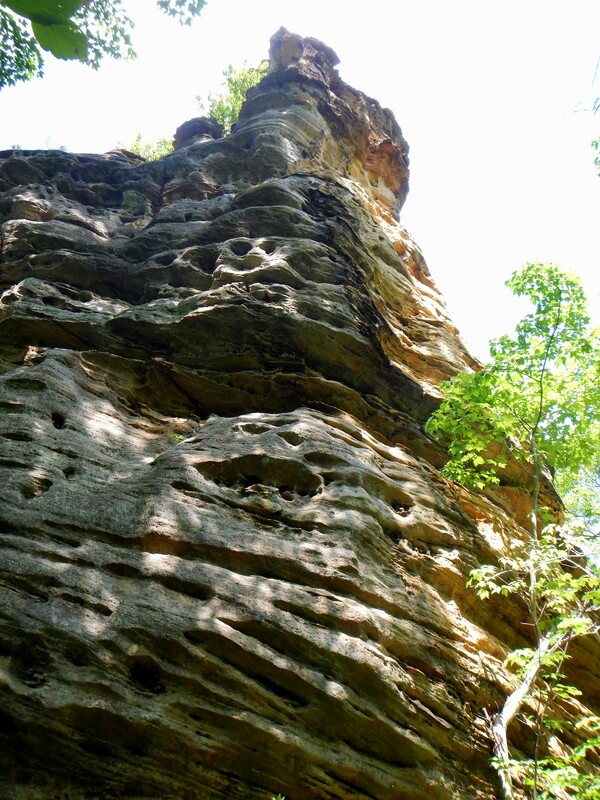 This sandstone was next uplifted by pressure from a magma flow under the surface which created parallel fractures that were then subjected to countless freeze and thaw cycles. Water seeping through the fractured rock eventually eroded the underlying layers in some areas, forming hundreds of arches. 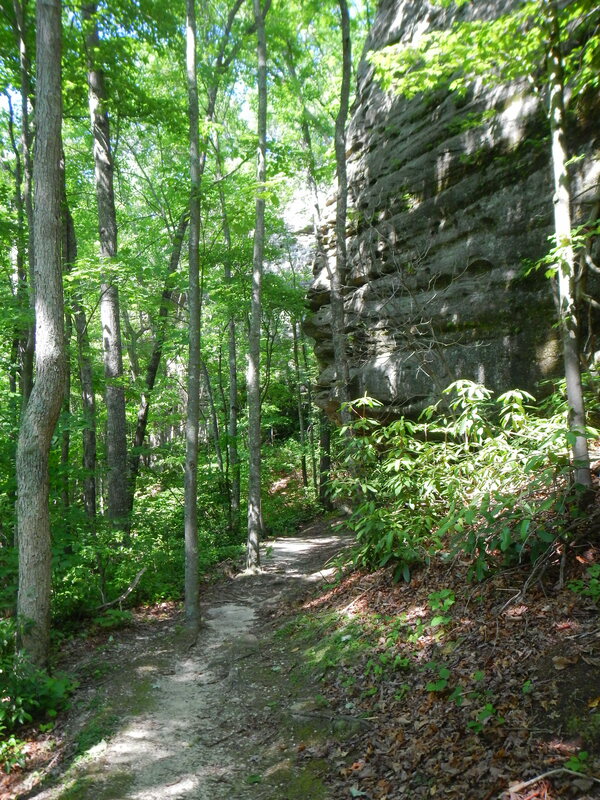 I was surprised there were so many in this one area since Pennsylvanian sandstone is very common west of the Appalachians as is the process of uplift, but I was excited there were so many trails that offered up close and personal views. 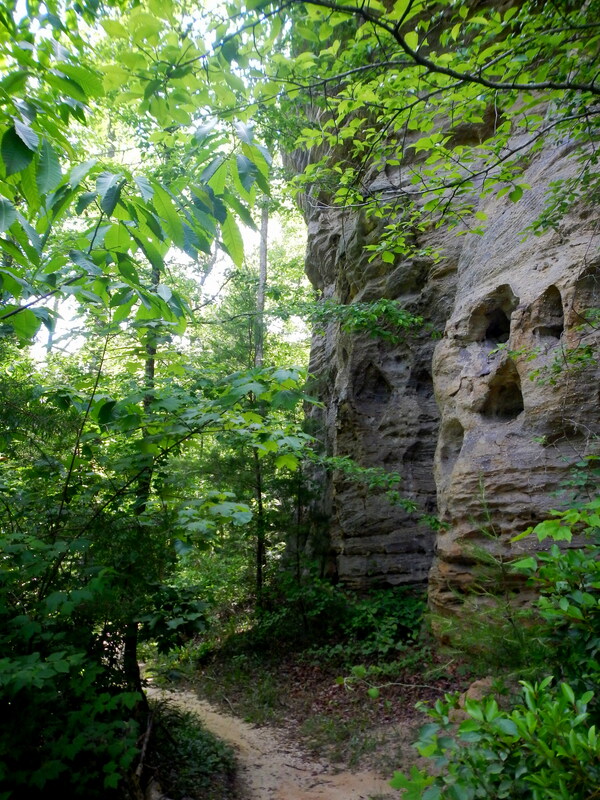 Characteristic of all my hikes in Kentucky, the trail to Natural Arch was very beautiful and very green. 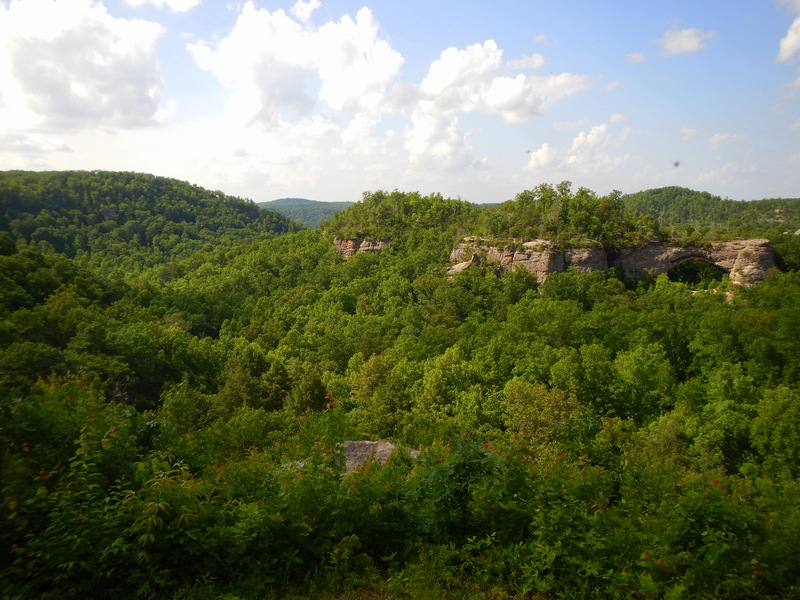 The short hike was through leafy forest and for the last half, paralleled the fractured rock cliffs, which were pockmarked with eroded potholes. 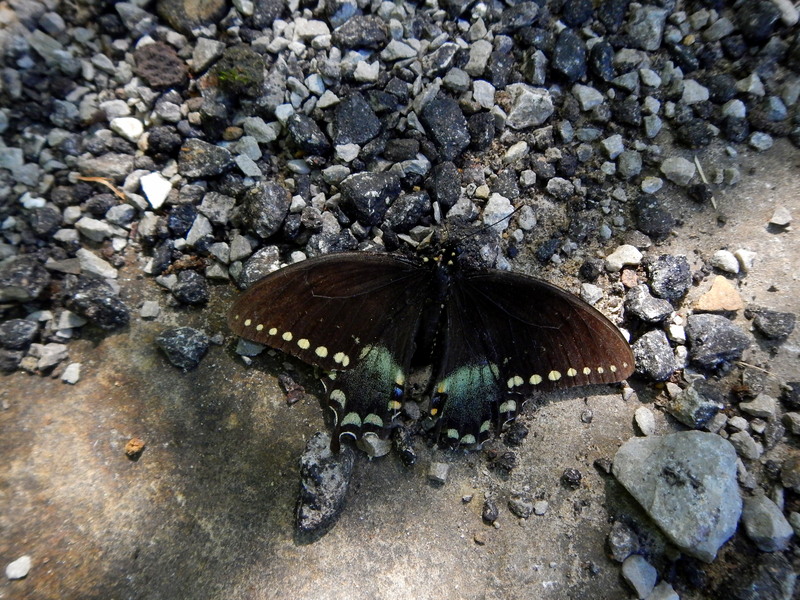 The afternoon I was there the bright sunlight was penetrating the dense leaf cover, dabbling the rock with pockets of light. 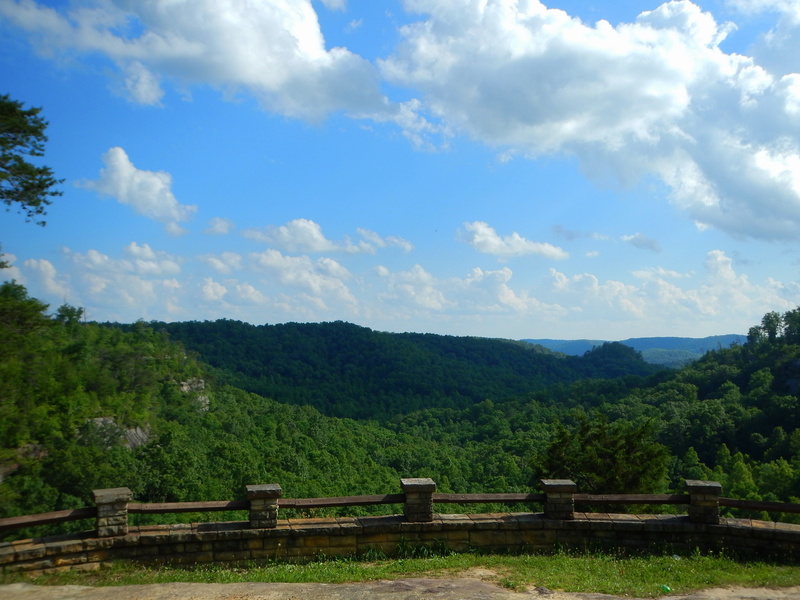 After the hike I continued down the road from which more remarkable views into the gorge are possible. After a few miles of steep descent the road dead ends at the Big South Fork River itself which had flooded its banks, submerging brush and trees. 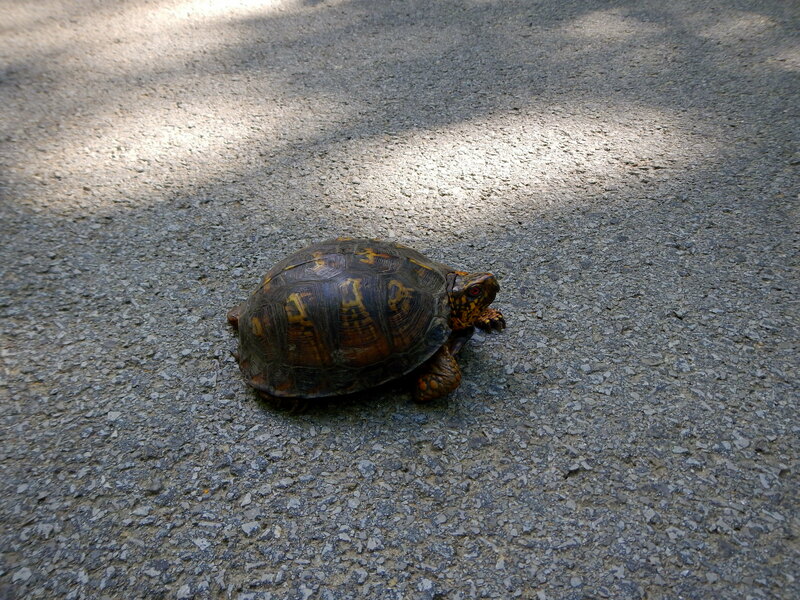 oooh its a Turtle! Red coloring to it – that’s interesting. 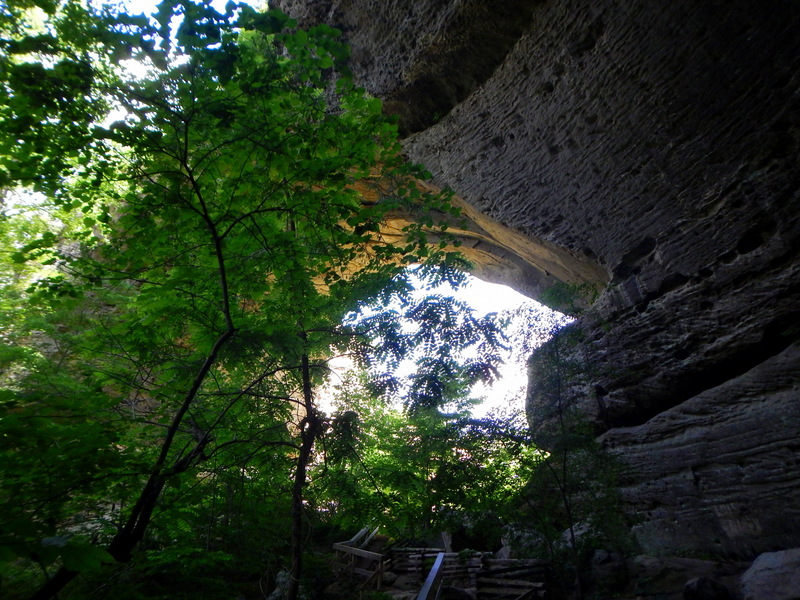 A few hikes in Tennessee that feature Archs in stone. I didn’t think it would be so green there. I love turtles, Lavinia! I didn’t think Kentucky would be so green either but it really surprised me. It’s absolutely gorgeous!